The hvlpTAN LITE™ system is easy to use, combined with affordability and outstanding performance. It is a must own for a wide variety of uses from the small business entrepreneur, tan technician on-the-go, or home user. This feather light and portable system will let you achieve the professional results you are looking for. It will make any user look like a pro. 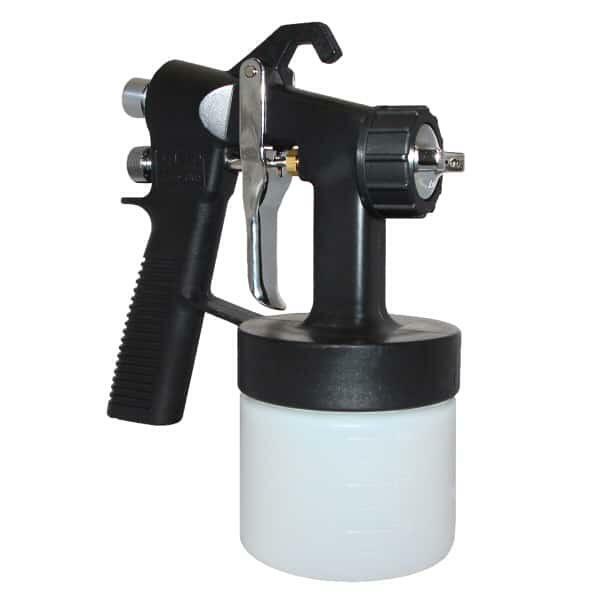 The attractively designed TAN7400™ applicator has stainless steel fluid components, adjustable spray pattern and adjustable fluid control. 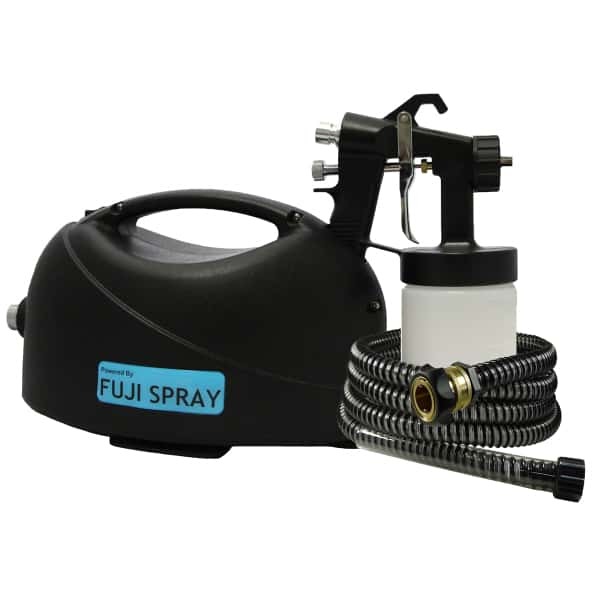 This gives the user full command and a relaxing worry-free spraying experience. The handle of the TAN7400™ is a comfort grip handle, which stays cool to the touch even when spraying for lengthy sessions. Cleaning and maintenance after every use has never been simpler. You will achieve efficiency and productivity in no time. The applicator is built to continuously blow air even if the trigger is released. Easy attachment to the air hose with a quick connect fitting. The powerful hvlpTAN™ Turbine is a combination of convenience, durability, and power. Weighing only 4.2 pounds, this portable feather light yet durable machine is a star performer. In addition to its high impact resistant case, it has a gun holder slot to conveniently rest the applicator when not in use. It comes installed with a washable and replaceable air intake filter plus a reset safety switch. It is easy to operate, transforming you into a professional almost instantly. You can always rely on the optimal performance of the hvlpTAN™ Turbine.